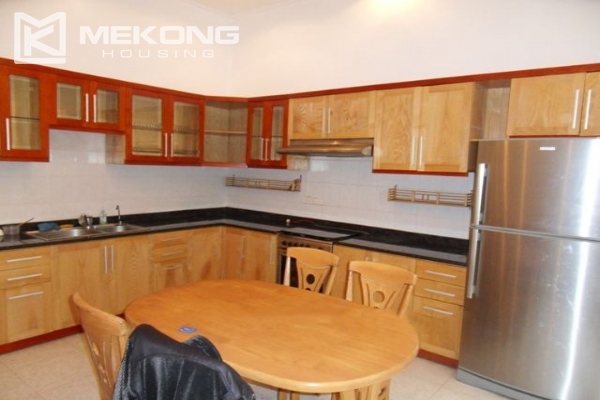 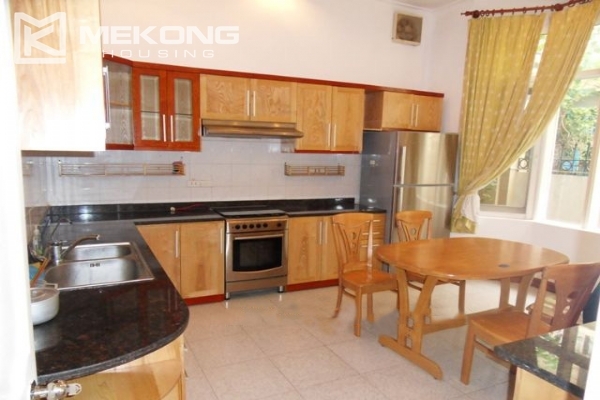 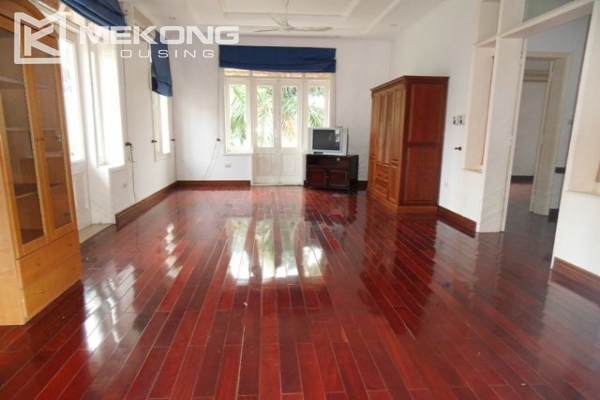 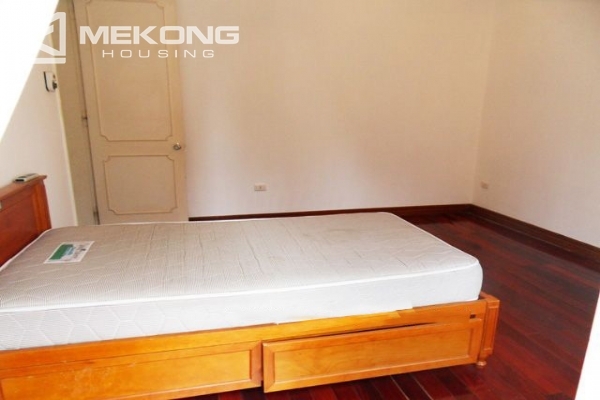 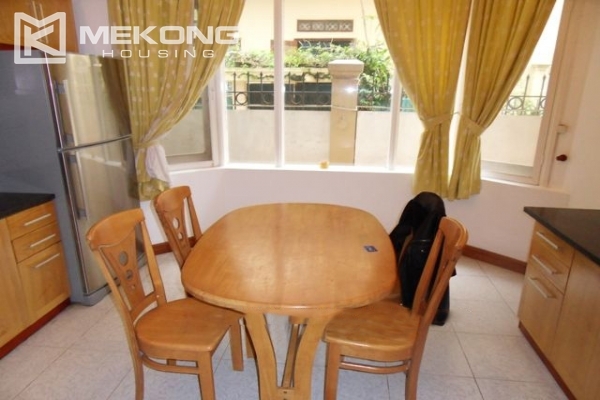 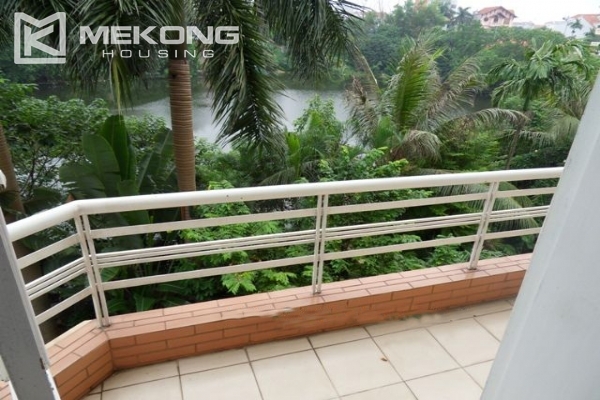 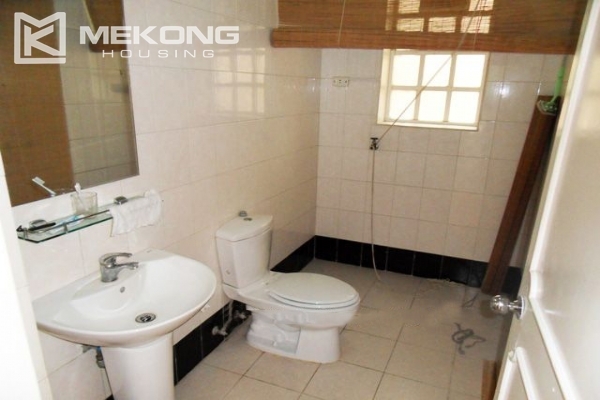 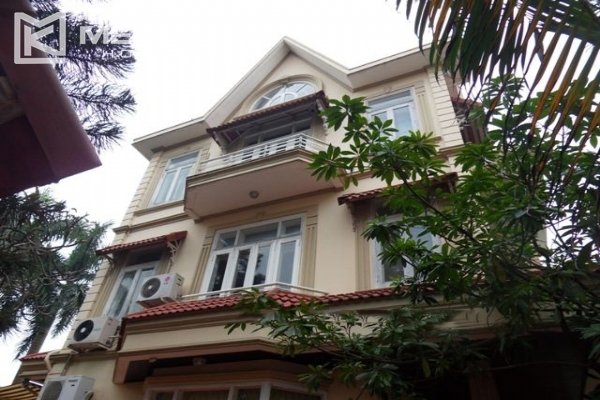 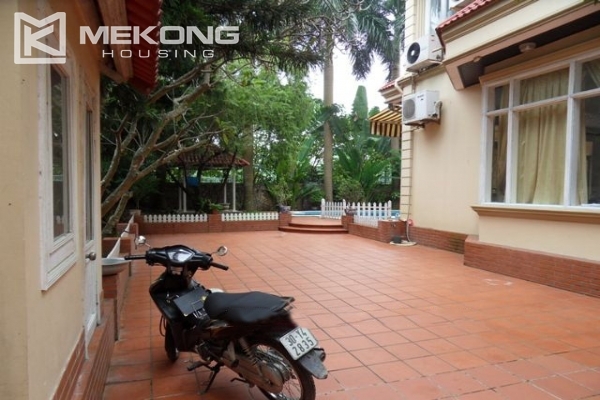 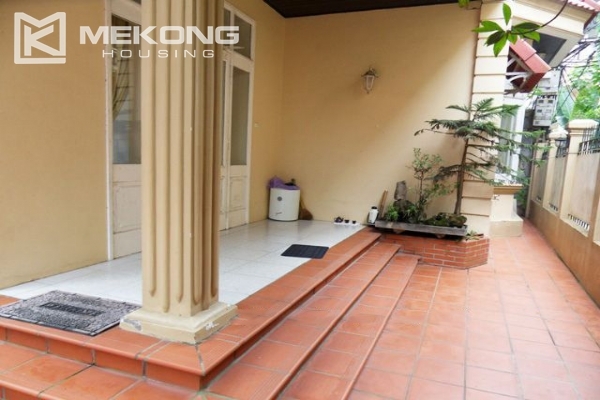 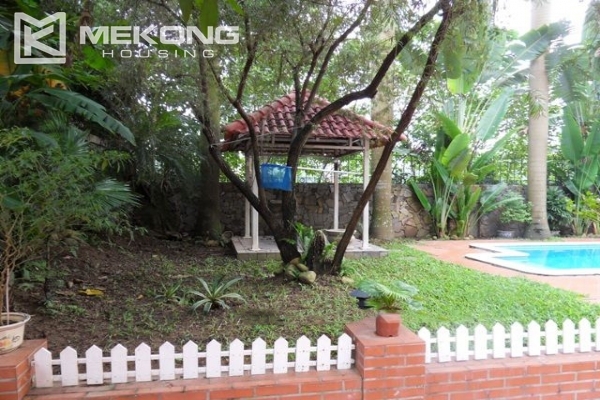 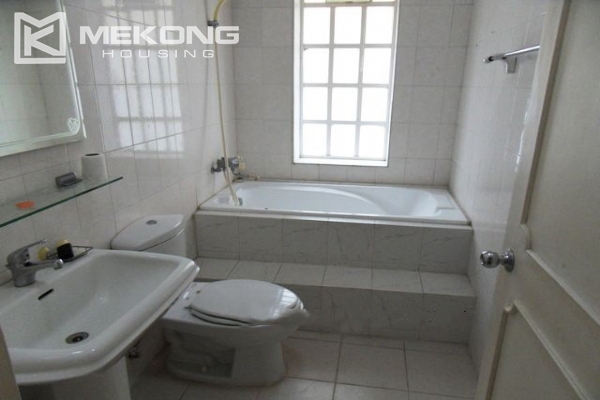 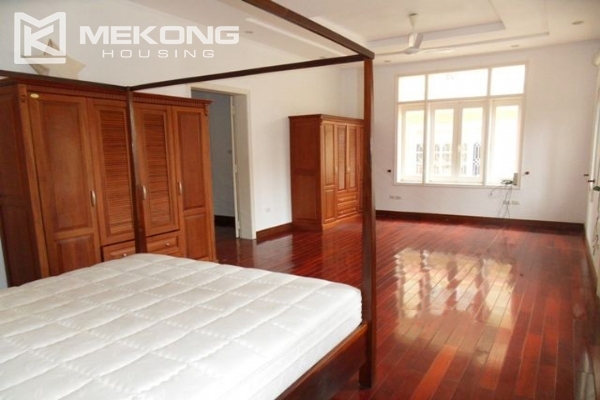 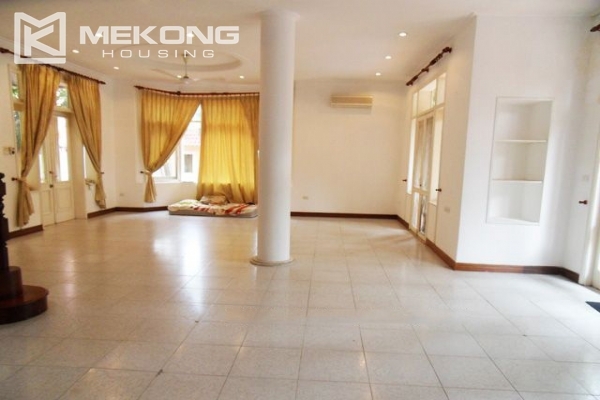 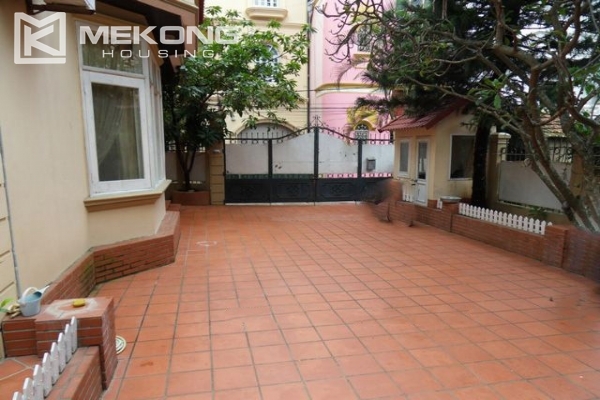 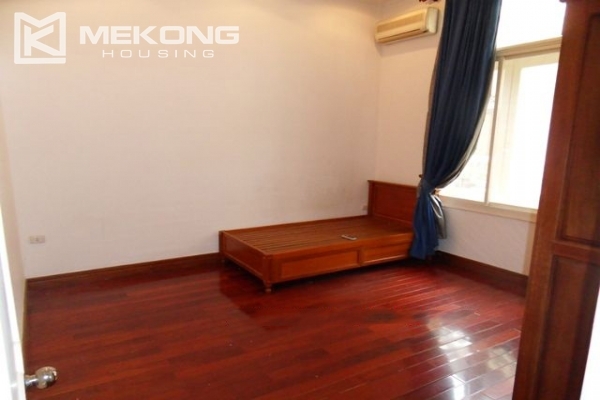 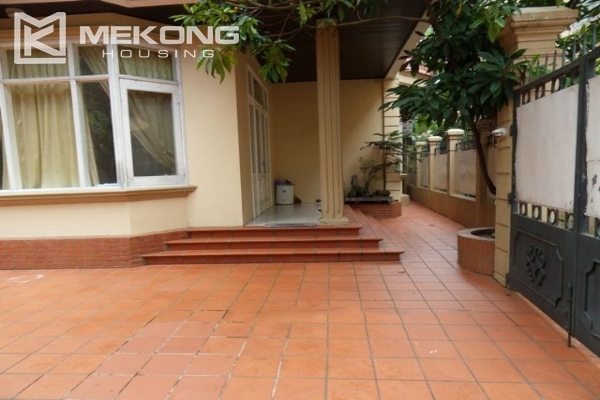 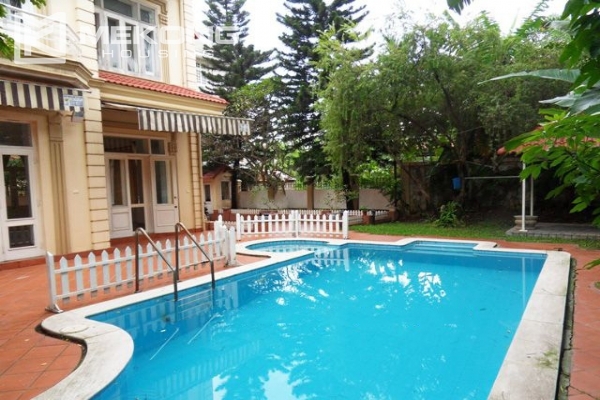 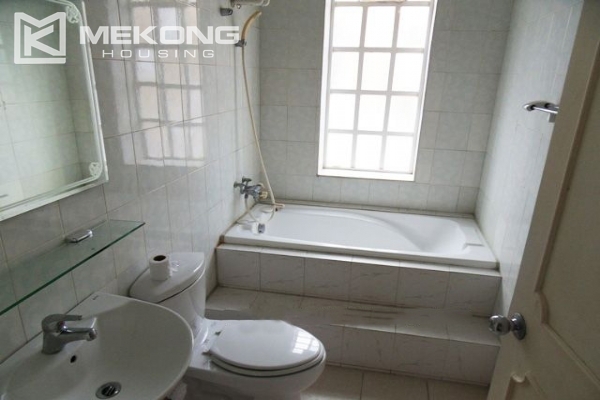 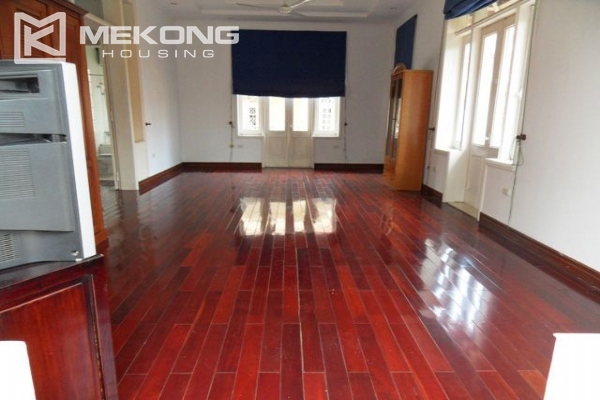 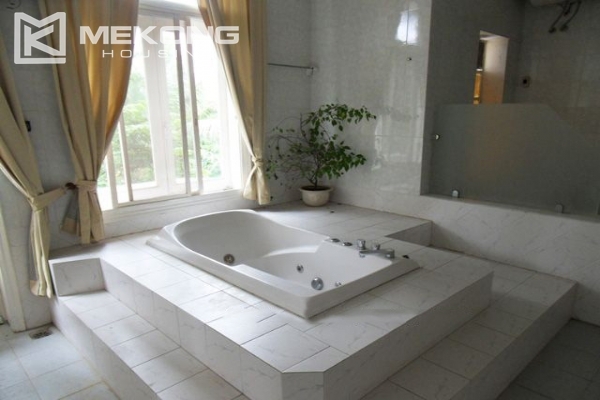 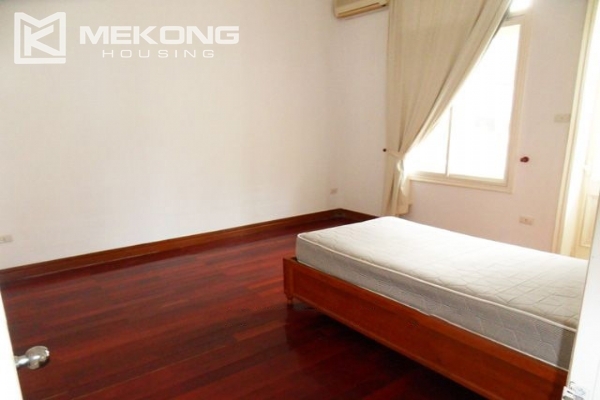 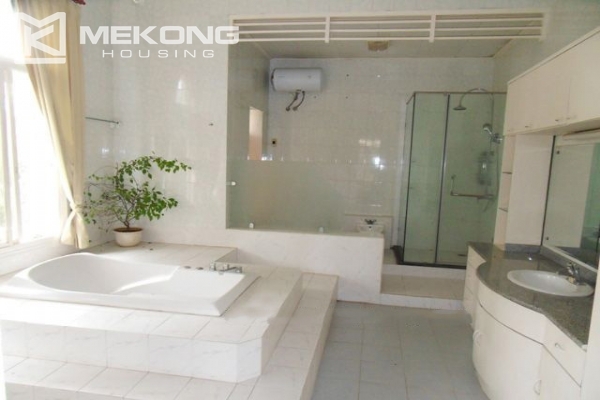 This rental villa is located in very quiet and secure location on To Ngoc Van street, Tay Ho district, Hanoi, just walking distance top Coffee and Bakery, Shopping center, West Lake, Club. 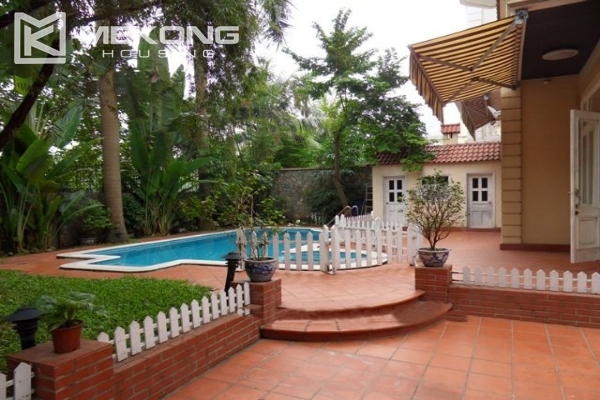 The villa has total land area of 500 sqm, with large garden and big out-door Swimming pool, it is great for BBQ, Children playing or pets. 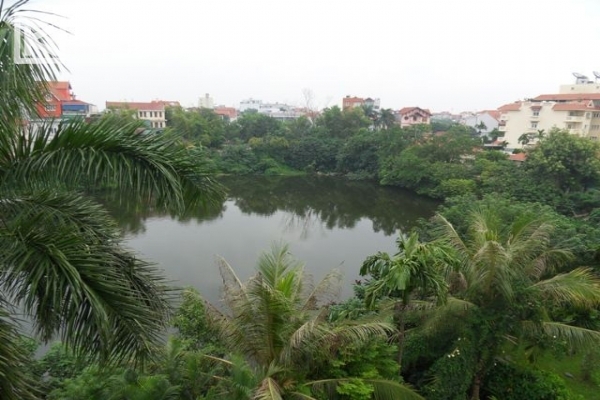 Additionally, The Villa is surrounding by Garden and the Lake with great view. 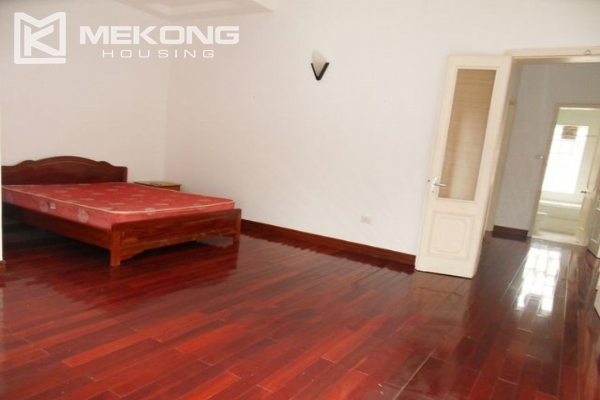 This 4 storey villa includes 5 timber floor bedrooms with large window for getting fully daylight, 5 bathrooms with walk-in shower, and bathtub, Jacuzzi …, A spacious Living room and dining room are good for any party, modern closed Kitchen with well equipped. 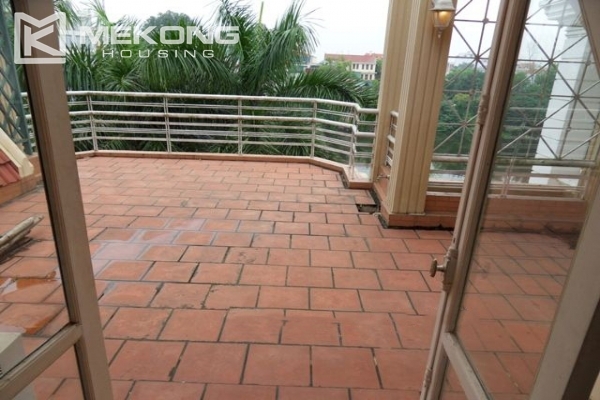 There is a large terrace on the rooftop for enjoying a beautiful view with some wine and coffee.